My Purgatory Blog: The Walking Dead: Um, EW. Spoiler alert: I am totes caught up on The Walking Dead as of Sunday, November 10th. Holy crap. Tonight's ep was gross. GROSS. I can't even go to sleep. I'd rather see them shove sticks in the eyes of all those fence-walkers than watch Pop Pops wipe bloody tears and intubate the masses on Cellblock H.
And speaking of the fence...WTF are they going to do now??? And how is it that Rick an Carl were frolicking around in the pea patch the morning after TWO fences gave way?? Oh THAT'S right...Carl probably fixed both of them when everyone was sleeping. That's why Rick let him sleep in. 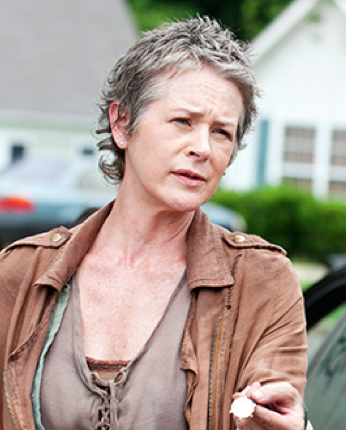 And holy CRAP...we don't know what Daryl's going to do when he finds out about Carol. You KNOW boyfriend's going out looking for her. And he's probably going to find the GUBNER on his way back!! Oooooh BOY I can't believe Hottie McEye Patch is back in town. Mmm hmm. Things're gonna get REALLY fun now. Hi...Shower? This is Rick and Hershall. Rick and Hershall? This is the shower. USE IT, FOR THE LOVE OF ALL THAT'S HOLY!!! I can smell BOTH of your asses through the damned TV!!! 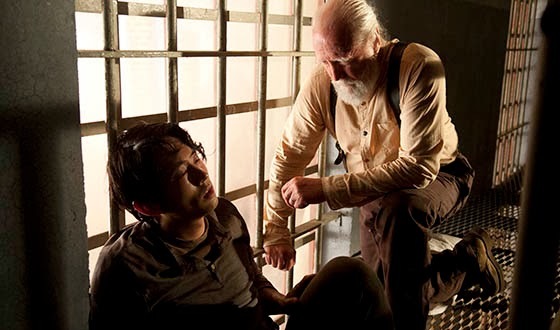 Glad Glenn didn't die. NOT too glad Maggie busted in. She's pretty important on fence-duty; hope she doesn't get sick, too. What's going to happen next week? Wonder what The Gubner's up to. Wonder who else will get sick? So glad Carl's got his hat back. Snicker.